The 2nd Company Governor's Horse Guard participated in the 53rd annual Labor Day Parade in Newtown, CT, which is also the home the Horse Guard. 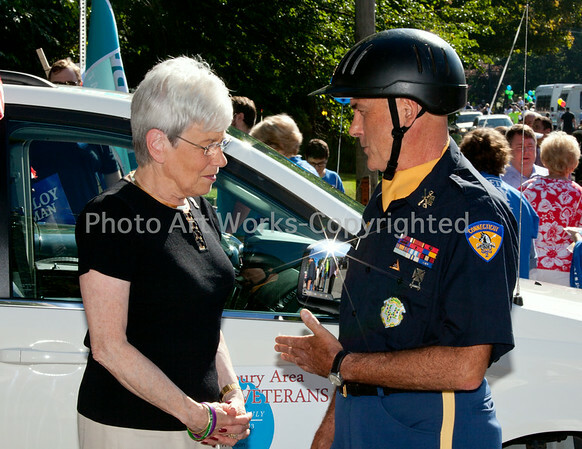 Accompanying the Horse Guard riding on the beautiful white horse named Danube was CT State Representative DebraLee Hovey. DebraLee has been a dedicated advocate of the Horse Guard and shall be missed as this was her last time to ride with them as a State Representative. After the ride the troopers thanked her with a presentation of photo gifts.